Volunteer Nebraska is an organization that embraces community service. It provides the framework for children to perform volunteer service, document their work and be recognized for their efforts. Volunteer Nebraska connects young people with positive adult mentors. We help build strong networks within a community and by linking communities together we strengthen Nebraska! Volunteer Nebraska believes in the power of service because it teaches vital life lessons! Set goals. Make a plan. Action is necessary for change. Donate to Volunteer Nebraska and your contribution will go toward grants to students who need supplies for their volunteer projects. Learn more. Volunteer opportunities -- for students of all ages -- are all around. 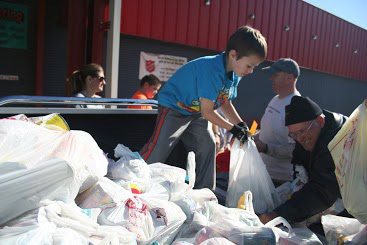 Boys Scouts participate in Overland Trails Council Pawnee District Food Drive. 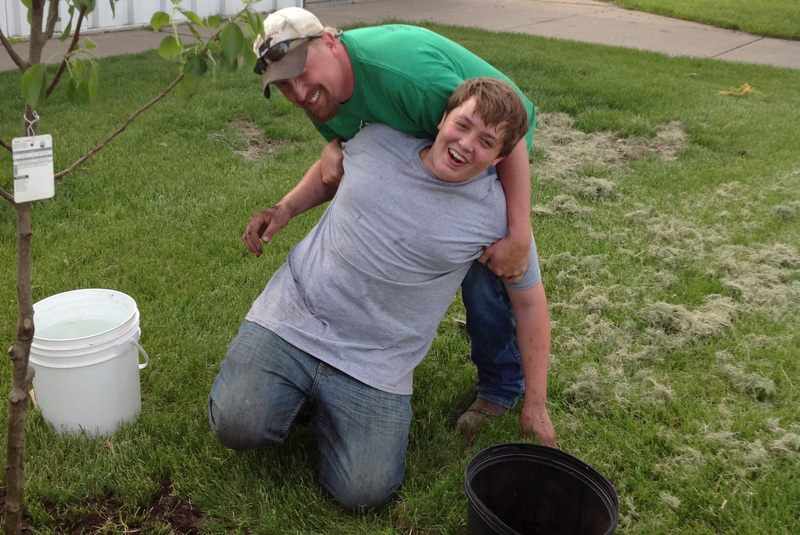 Hamilton County 4-H Junior Leaders planted and maintain the tree nursery at the fairgrounds. 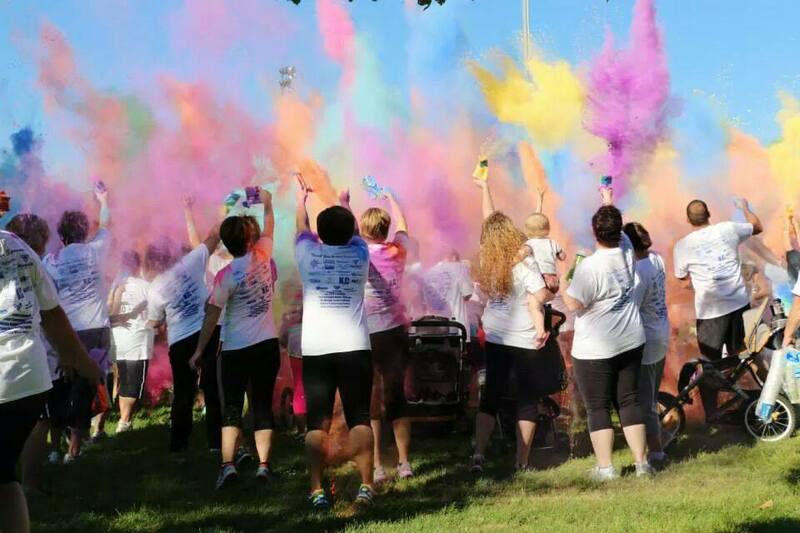 Nebraska Kids TRUTH Campaign hosted a Color Me Courageous Run. All Nebraska children preschool through high school are invited to participate in Volunteer Nebraska. There is no cost for participating or for receiving an award. You can spend your time volunteering for a single project or for many projects. All we ask is that you invest your time and talents in your community. Opportunities are all around! Adults who are visiting this site have an important role in this program. Our young people need mentors who believe in them. Perhaps you are a parent, teacher, youth pastor or community partner who sees potential in our youth and are looking for ways to utilize that energy. Maybe you are a law enforcement officer who is searching for ways to reduce alcohol and drug use in this young population. Whatever the reason you are here - we are here to help! This program is designed to encourage Nebraska youth to gain life skills through community service. There is power in seeing a problem and taking action to do something about it. It takes planning, goal setting and strategic thinking. Young people who are engaged in their community are learning the importance of networking as they practice team building. They find themselves addressing school administrators and community leaders. They begin to understand budgets and perhaps get an opportunity to write a grant. They are learning to take the leadership role at an early age. When acts of service become a personal code of conduct amazing things begin to happen. Volunteer Nebraska supplies you and your community with a framework to begin a community service program. Timesheets can be downloaded and reproduced. We encourage the youth to track their service hours and projects. This information can be useful when applying for college scholarships or writing a resume. Awards for recognition can also be downloaded to be awarded at a community celebration or school assembly. Volunteer Nebraska does not charge a fee to utilize these tools. It is our service to your community and the kids' of Nebraska! We are excited to have you visiting our website! Perhaps you see something in your school or community that can be improved or needs to change? Maybe you like to volunteer! Whatever your motivation is to serve your community, we are here to help you be successful! Volunteer Nebraska thinks kids are amazing! Whether you are 4 or 14 years old you can do something to help your community. Here are a few ideas. We want you to get creative. Look around your neighborhood, your school, your community or your world, do you see something that can be improved? Maybe you can do something about it! First, we want you to share this website with an adult who is on your team. It might be your parent, a teacher, a pastor or a caring adult in your community. Working with a mentor can increase your chances to have a successful project. Here is a worksheet to help you get started. Mary Ingram has devoted her life to serving children as a coach, volunteer, juvenile justice coordinator, parent and grandparent. She received the President's Lifetime Achievement Award for her volunteer service. She possesses a strong belief in community service and encourages others to play their role in making the world a better place. She does not receive a salary for her work from Volunteer Nebraska. 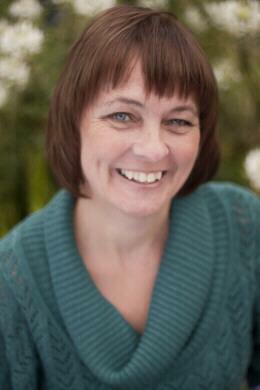 She donates her time and energy to encourage altruism. Mary has authored a book, The Fallen, with the net proceeds going to support programs that assist young people in the Nebraska Correctional System. Your donation will go toward grants given to students to support their volunteer projects. Volunteer Nebraska is a registered 501(c)(3) organization, and donations are made securely via PayPal.